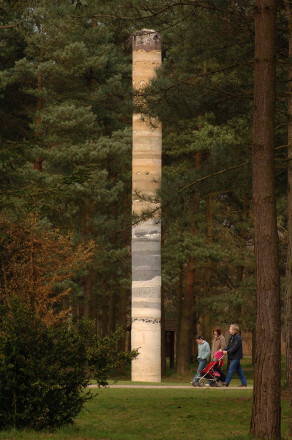 Thetford Forest is the largest pine forest in Great Britain and is located in the heart of East Anglia’s Breckland region. The forest stretches from the south of Norfolk to north Suffolk, composed mainly of heathland with pines and broadleaved trees. It’s vast and provides a haven for wildlife and plants, covering more than 19,000 ha. and is a Site of Special Scientific Interest. The Neolithic flint mine ‘Grimes Graves’ is located here. The forest also offers recreational and educational facilities, along with regular music concerts (organised by the Forestry Commission). After the First World War, land was purchased by the Forestry Commission and in 1922 the area was named ‘Thetford Forest’. It was first established to provide vital reserves of timber because the country had lost so many oak trees and other slow-growing trees during the ‘Great War’. 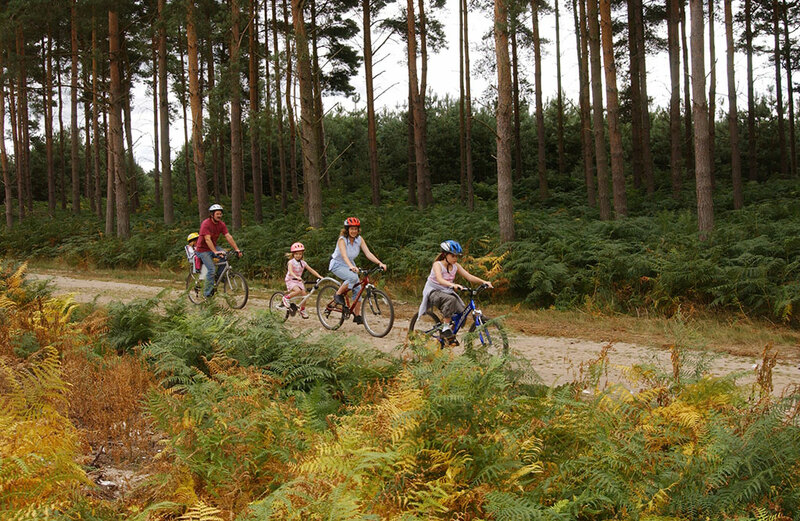 Since then, Thetford Forest has been closely managed by the Forestry Commission. Breckland soil is unfertile and throughout the ages has been difficult to farm, often producing only low yields. Historically, this part of Norfolk is one of the least populated areas in the UK and therefore, an ideal place to plant vast numbers of trees. It has since become one of the Forestry Commission’s largest acquisitions in the whole country. At the heart of Thetford Forest you’ll find High Lodge Forest Centre. There’s so much to see and do – you’ll find miles of trails to enjoy on foot, by bicycle or horseback. The entire forest (apart from the Stanford Battle Area) is open to horse riders. 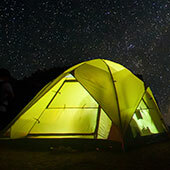 The area is also very popular with those that enjoy cross county running, birdwatching and photography. 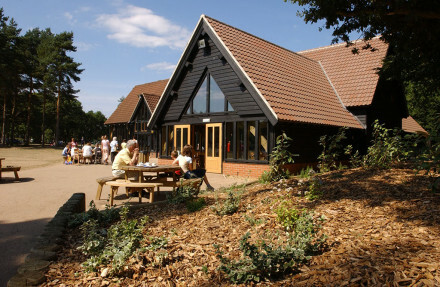 High Lodge Forest Centre opened in 1992. It has a restaurant, café, pantry and ice cream parlour. 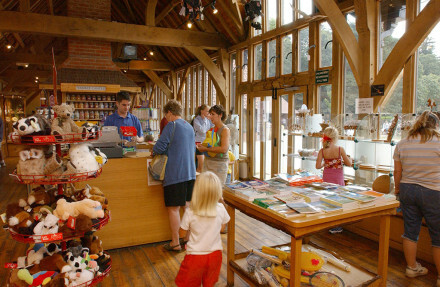 You’ll also find a cycle hire centre (Bike Art 01842 810090), a gift shop, walking trails, an adventure play area and paintballing events. There are plenty of places to have a picnic. Lots of family sized or party sized BBQs are available to hire for a small fee – call 01842 815434 for more information. 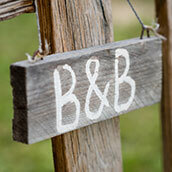 These are very popular so must be booked far in advance! Please note that these are the only BBQs allowed in Thetford Forest because of the high fire risk. The adventure play area will entertain children of all ages. So will the Giant Play Sculpture Trail. This trail is ideal for families with young children or babies because it’s pram-friendly. Additionally, The Pine Trail is also a great trail for families to follow. Both have a wide flat surface, ideal for prams, pushchairs and little feet! 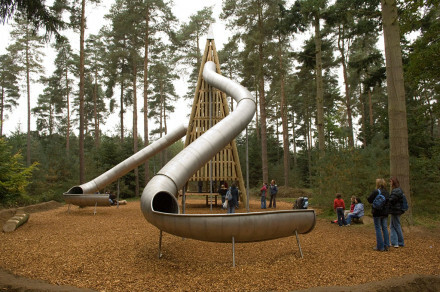 Children will have fun in Squirrels Maze and Squirrel Scamper – more information is available from High Lodge. 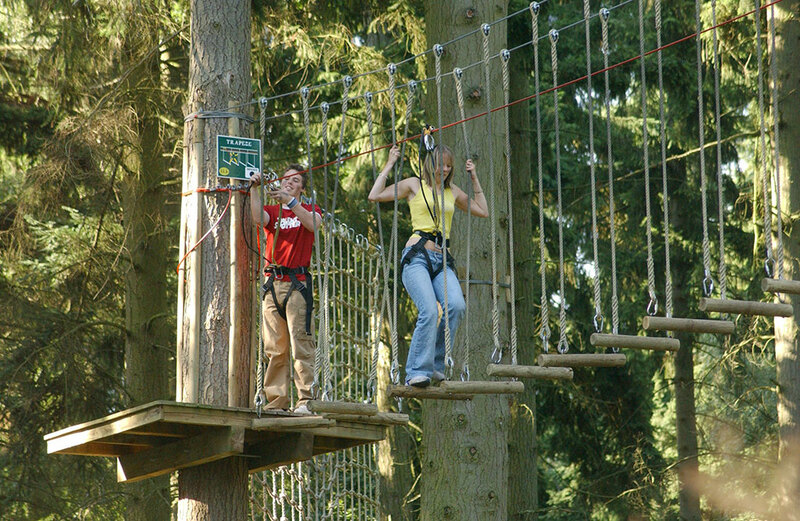 At the ‘Go Ape’ high wire adventure course you can trek for two or three hours among the tree tops, high above the forest floor. 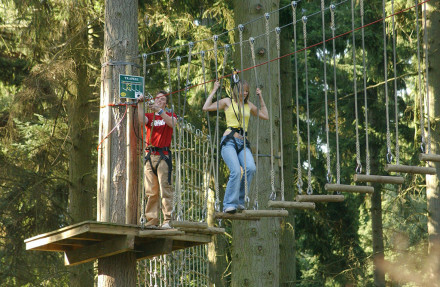 Explore the tree canopy, taking zip wires, Tarzan swings and many other challenging crossings. Call 0845 6439215 to book your place. The forest is really popular with those that enjoy the thrill of mountain biking and there’s lots of marked trails throughout the area. Biking trails range from those suitable for families to the Black Trail, which is ideal for experienced riders. The forest has hundreds of miles of single track, a steeply undulating section called The Beast and several bomb holes. 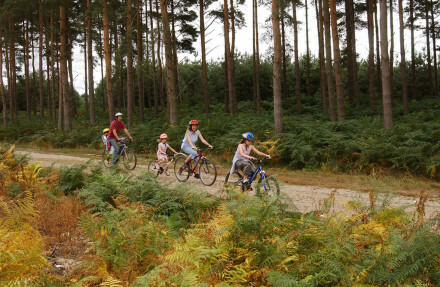 Thetford Forest hosts the national cross country cycling races. With this in mind, an organisation called TIMBER (Thetford Improved Mountain Biking Environment) works closely with the Forestry Commission to improve the mountain bike trails in the forest – see www.timbermtb.org. Their website is a helpful guide for all cyclists wishing to cycle around the forest as it promotes cycling events, reports about recent maintenance work to the trails and offers cyclists up to date information on the condition of the trails. 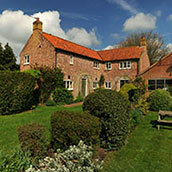 There are lots of archaeological and children’s events at High Lodge Centre. Call 01842 815434 to find out which events are planned during your stay. At Thetford Forest you can enjoy outdoor concerts and theatre productions throughout the year. ‘Forest Live’ is a series of concerts brought to you by the Forestry Commission at seven of their forest locations. 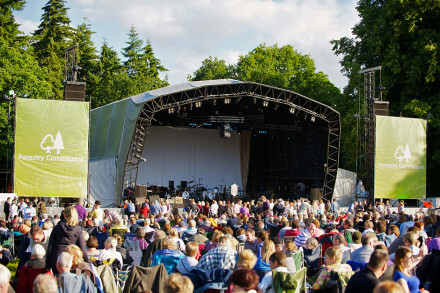 Thetford Forest has played host to many famous acts since 2001. These include Jools Holland, Pulp, Madness, Blondie, Keane, Van Morrison and more recently Sam Smith, Ed Sheeran and Olly Murs. Hikers can follow the Roman road, known as Peddars Way. This ancient Roman road leads from the north Norfolk coast at Holme-next-the-Sea and reaches its end in Thetford Forest, near Knettishall. There are many other walking routes in the forest that connect to Peddars Way. The British Siberian Husky Racing Association hold several husky racing events in the forest each winter, namely at King’s Forest East and Elveden Forest. Since the end of the Second World War a large part of Thetford Forest and its surrounding woodlands have been used by the military as a training ground. Military personnel have been trained here for many years in an area known as ‘Stanford Battle Area’, with public access strictly forbidden. The ‘Stanford Battle Area’ (STANTA) is located north of Thetford. Five villages were evacuated to form the training ground: West Tofts, Buckenham Tofts, Stanford, Tottington and Lynford. 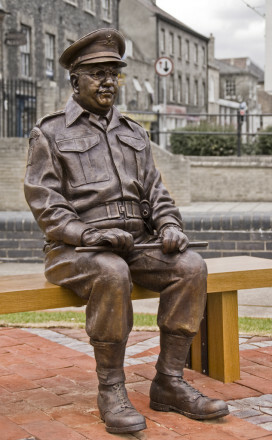 The Stanford Battle Area created in Thetford Forest was used as a film location for the hugely popular BBC series Dad’s Army which was screened from 1968 to 1977. At its height the show reached audiences in excess of 13 million viewers. 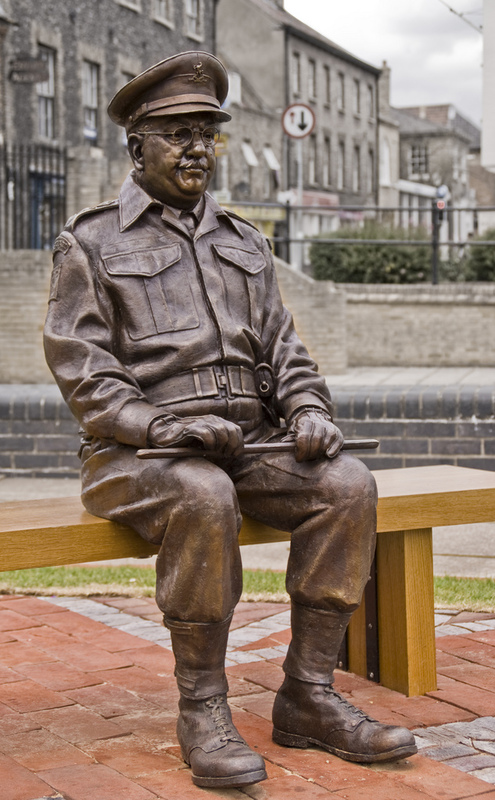 The setting of the show was during the Second World War and each episode was about a group of men serving in the Home Guard and their daft antics! 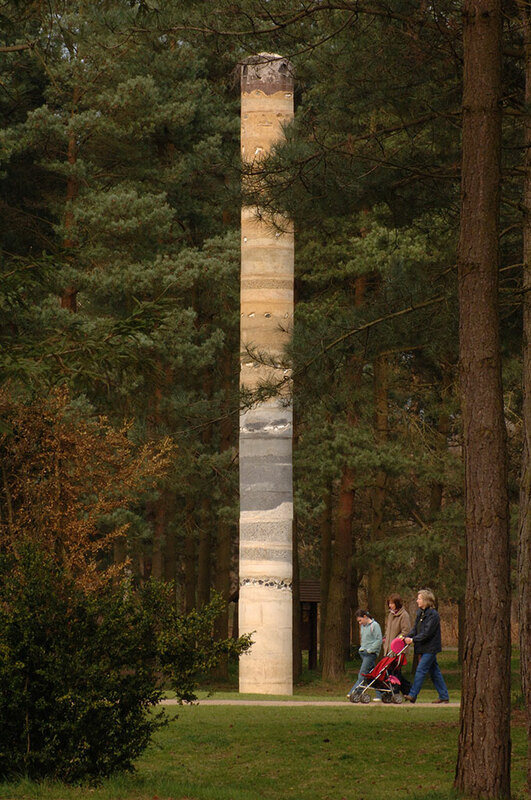 Stanford Battle Area was chosen by the BBC director Harold Snoad because it was ‘…an area we could have control over…’ Thetford Forest provides many of the famous locations for the series. Frog Hill-Stanford is where the end credit shots were filmed as the platoon move over the ground, wearing their camouflaged uniform. 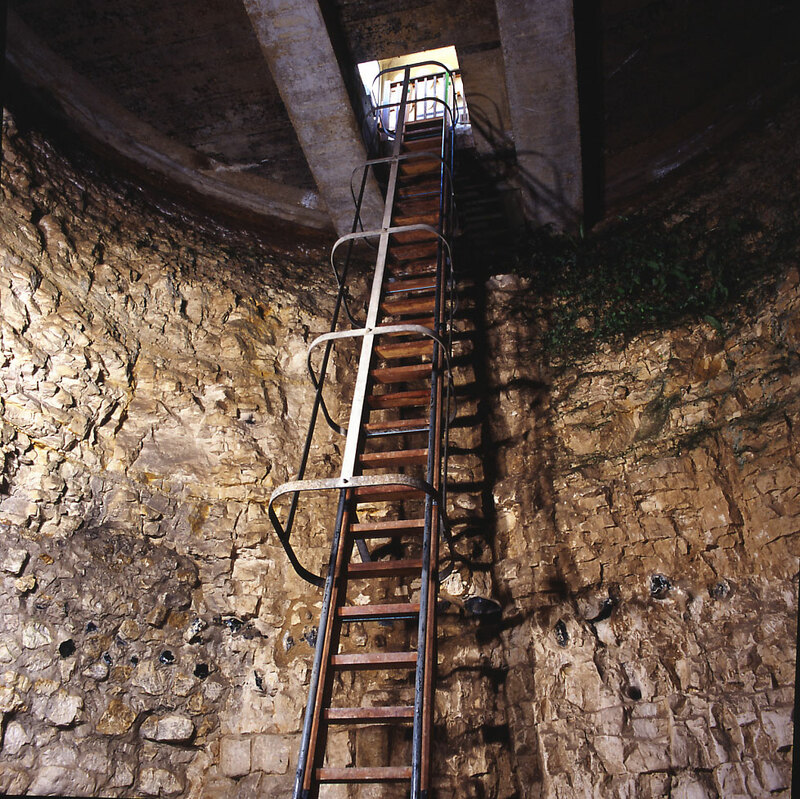 Close to Lynford (part of the STANTA battlefield) is ‘Grimes Graves’; this Neolithic flint mine was worked between 3000 BC and 1900 BC, although the mining of flint may have continued into both the Bronze and Iron Age. Contrary to it’s rather misleading name, this area has nothing to do with graves at all. It was originally named Grimes Graves by the early Anglo-Saxons, the name referring to the god, Grim (Woden). Today, the landscape bares evidence of the area’s mining history as the remains of the pits, the mineshafts and the spoil heaps pockmark its surface. This large flint mining complex is closely managed by English Heritage. It’s open to visitors and school parties from the beginning of March to the end of October. Here you can descend a 9m ladder and explore one of the mining shafts. 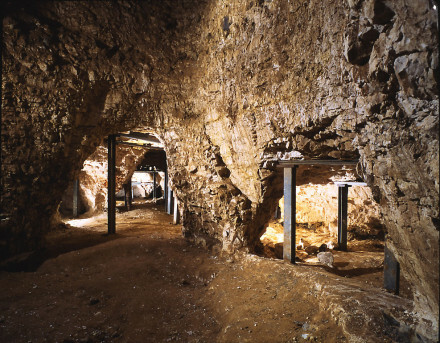 This is a hugely important site as it is the only mining shaft of its kind that is open to visitors in the UK. 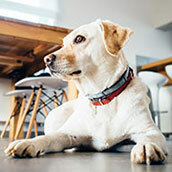 for providing and granting permission for use of photography displayed on this page.